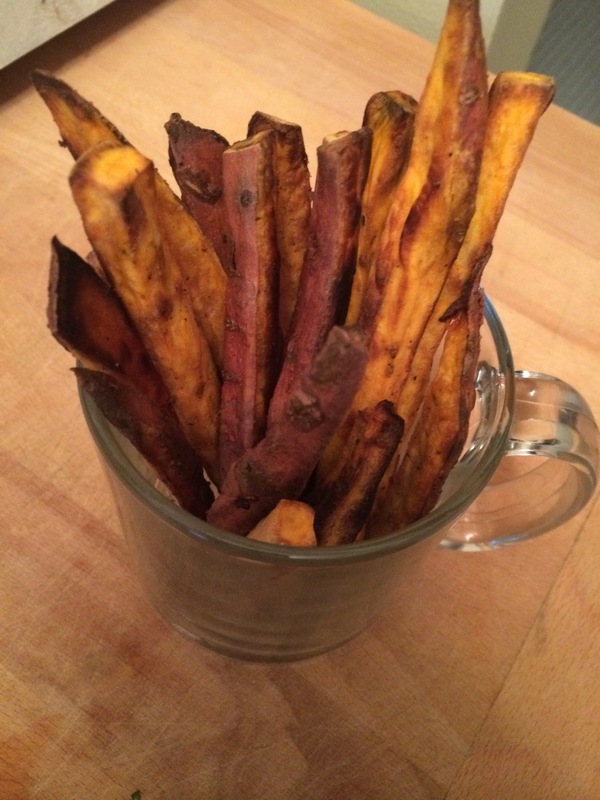 I have a not so secret love affair with sweet potato fries. They are one of my favorite not-so-guilty pleasures. Over the past few months I have been experimenting, making them crispier and better! The result, a gloriously crispy exterior with a soft and fluffy interior. They are little bits of orange perfection! Ok enough rambling, here is how you do it. Step 2: Prep a baking sheet (little non-stick spray or a silicone mat to prevent sticking!). 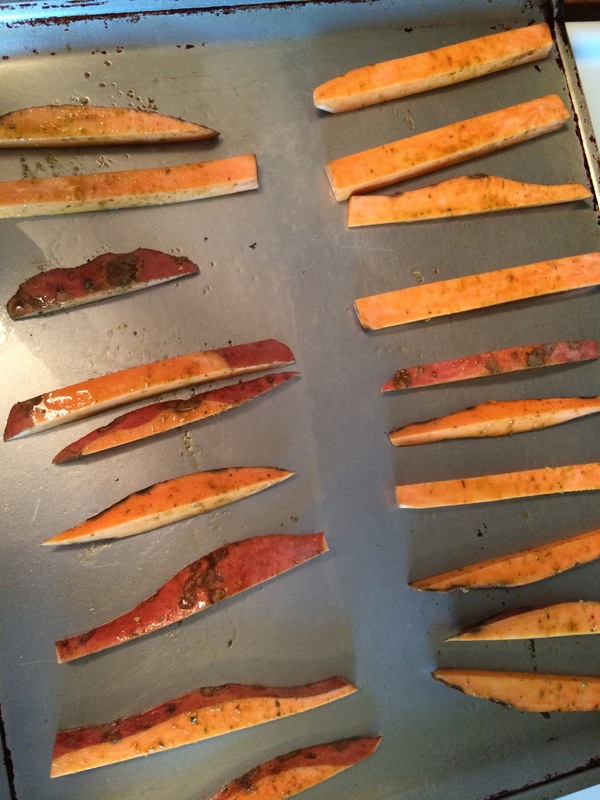 Step 3: Cut the sweet potatoes into about half inch fries. I typically cut each potato in half, make slices, then cut the slices in half. The result, something like this. Step 4: Season! 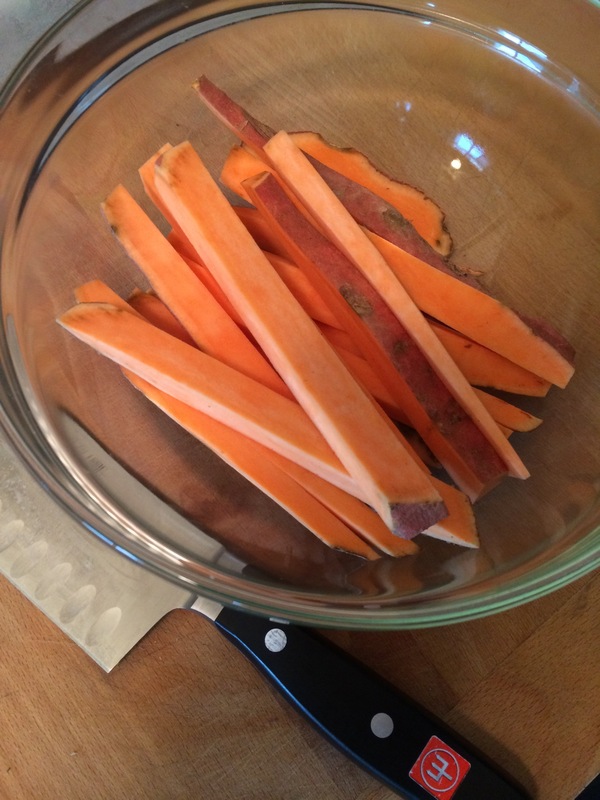 For every medium sized sweet potato I use about half a tablespoon of coconut oil (warmed up to make spreading easier) and about half a tablespoon of Spike or other low-sodium potato season mix. Step 5: Layer on the baking sheet. Leave room between the fries to allow for even cooking. Step 6: Bake for 15-18 minutes, flip the fries over, and bake another 5-8 till golden on both sides. My oven cooks a bit unevenly so I also rotate the pan when I flip the fries. The end result, the perfect just-guilty enough addition to dinner!